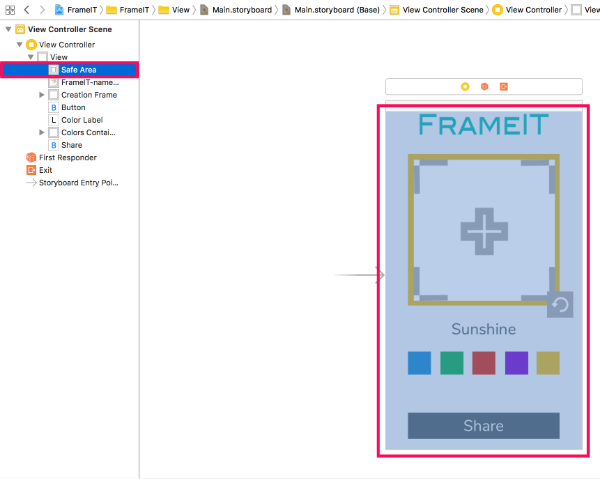 In this chapter we’ll learn how to incorporate a very powerful development component - Auto Layout. 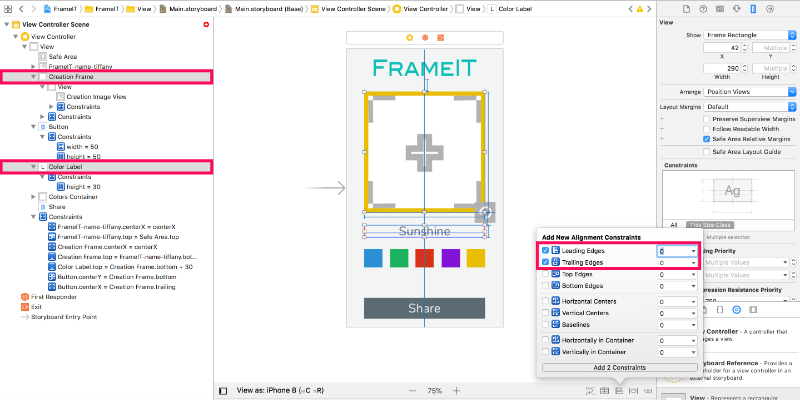 The essence of Auto Layout comes to specifying relative layout conditions and let Swift deal with particular circumstances for us by applying those conditions. 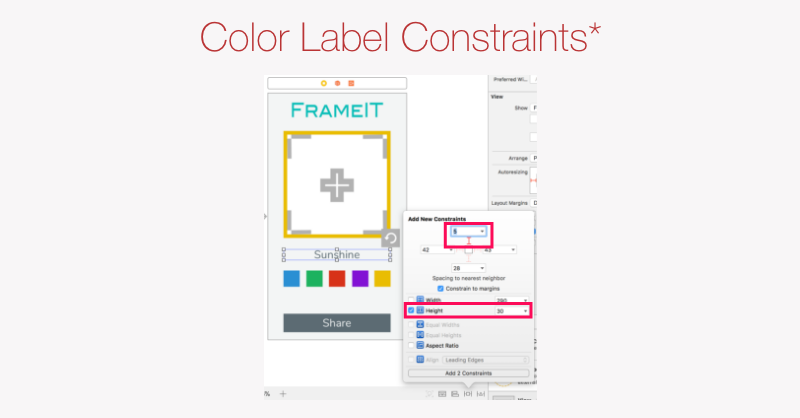 To layout UI elements using Auto Layout we need to learn its key component - Constraints. 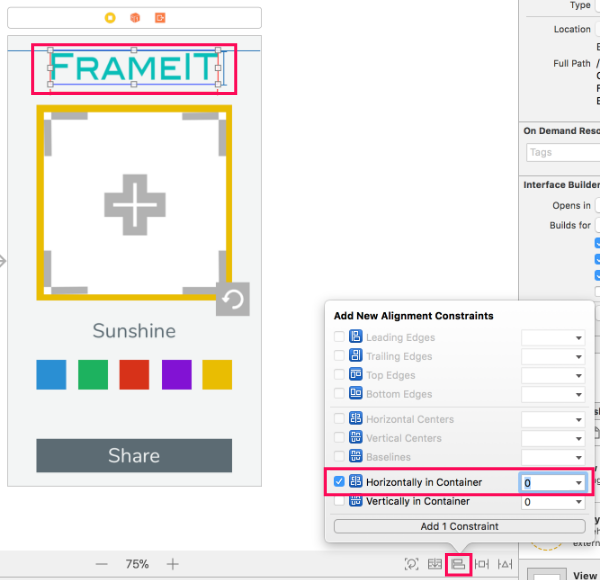 Constraints, in the layout context are layout rules that specify a parameter of a view (i.e. width, height) or relationship between two views (i.e. centre of one view to centre of another). 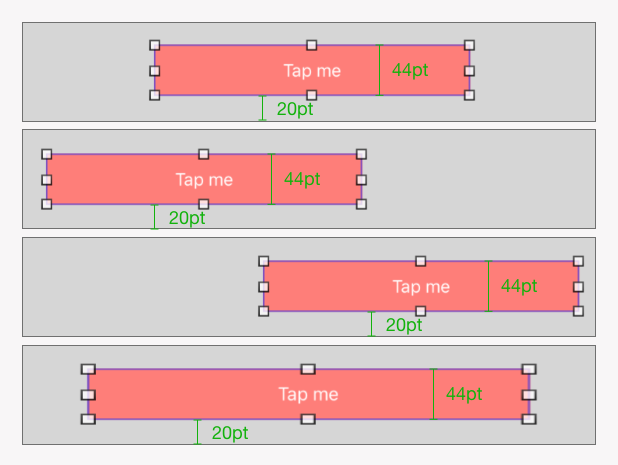 Autolayout implements a set of constraints that allows to 'automatically' position and size all the views considering the screen size and orientation. A constraints defines a distance in points (pt) that must remain constant. For example, if constrain height of a button to 44pt, it will remain 44pt tall no matter what device or orientation it's presented on. Or, if we constrain distance for a button from the bottom of the screen to 20pt, it will alway remain at the 20pt from the bottom of the screen. If we left our button at that, there would be a major confusion with our intensions - we've said we want it 44pt tall and 20pt from the bottom of a containing view (the main view of the screen in our example). What should be the width - constant or stretched? Should the view stay in the centre? or shift to the left or right? by how much? from the centre or relative to the edges of the containing view? As you can see, there's plenty of uncertainty here. In order to render a view correct, we must (somehow) know 4 components - position(x, y) and size(with, height). Remember frames? - those are the parameters of a frame, once those are clear, we can certainly position and size a view. There are different ways how we can either specify those parameters directly or derive them from other information we have. For example, if we state that our button must remain 30pt from the left and right edges of a containing view, its width can be calculated as width of the containing view - 30x2 . Or, if a button needs to keep 40pt distance from a sibling view above it, its y positioning can be calculated as y + height of a sibling view + 40 . Just to make sure we are on the same page: Sibling views are those that share the same immediate containing view. They are direct subview of the same parent view. Button1->y (y1) = View1->y + View1->height. Button1->y (y2) = View2->y + View2->height. You guessed it right - if the calculations generate results when y1 is not equal y2 ( y1 != ;) y2) we get ... Conflict! Rule #1. A combination of constraints related to a view must be sufficient to establish 4 parameters: x, y, width, height. Rule #2. A combination of constraints related to a view must NOT result into multiple values of any of 4 parameters: x, y, width, height. Let's follow the rules for the moment! Let's explore ways we can set the necessary parameters. 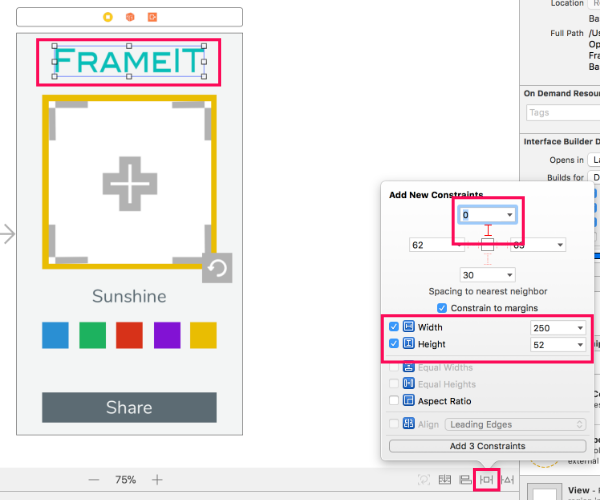 by specifying width and height relative to a sibling view or the containing view. Setting distance from one of the edges of a view (left, right, top, bottom) to one of the edges of other sibling views or edges of containing view. Pay attention here, there's a variably of combinations possible, we can set distance between the right edge of a button to the left edge of the app screen for example. edges of other sibling views or the containing view. If Auto Layout requires the very same parameters defined (x, y, width, height), what's the difference? By using frame parameters directly we set those values forever. Regardless a device or orientation the size and position of views will remain the same. We already saw the complication of that when tested our screen designed for iPhone 8 portrait producing inadequate appearances for other screen sizes and orientations. Auto Layout constraints, on the other hand, provide relative definitions, so that they can be adjusted as circumstances change and always produce intended layout. For example, we can still constrain width to a fix dimension, and, in addition request it to be entered horizontally on the screen - so it will always appear centered horizontally for all device sizes and orientation. When utilizing frame directly would display it at the same distance from the left following the original x value. 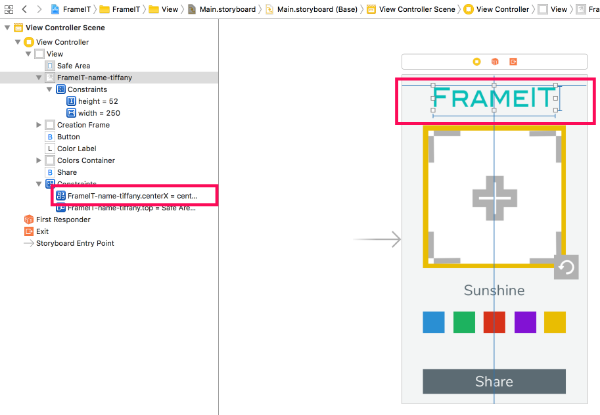 So, we have our frame values configured in storyboard. 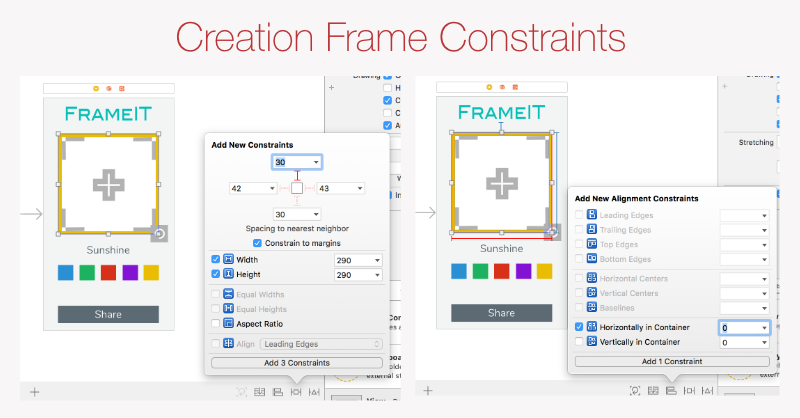 And, we can define constraints for Auto Layout. What about Rule #2? Should this result into a conflict? This's alright, if Auto Layout is used, the manual frame settings (set in storyboard or programmatically) are simply ignored. 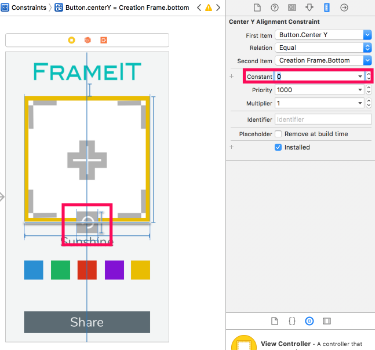 When Auto Layout is used, frame configuration is ignored completely! Means that we can't auto center a button, but hope that width and height will be used from the initial frame configuration. How's Auto Layout altercated by Safe area? Auto Layout and Safe are are independent of each other. It's our responsibility to consider the safe area when creating constraints. Xcode offers help as usual - safe area guides! 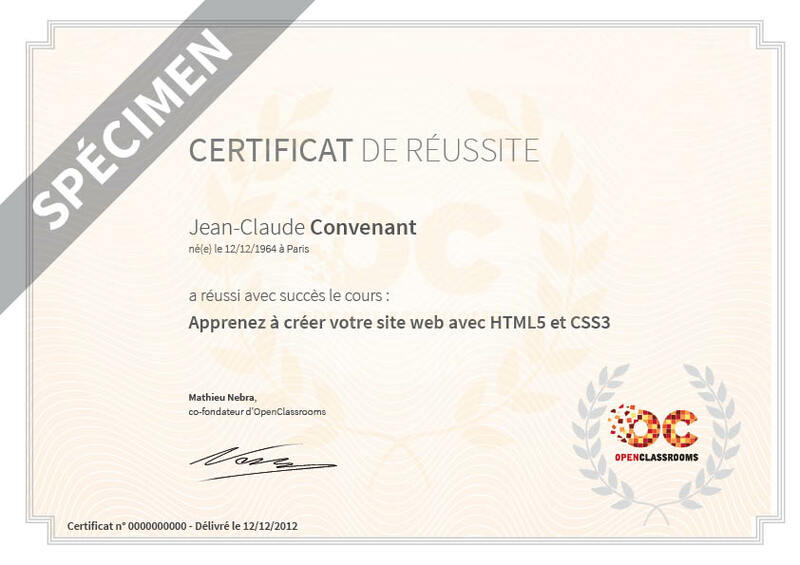 Title Image - fixed width and height, center horizontally, position vertically at the top of Safe area. 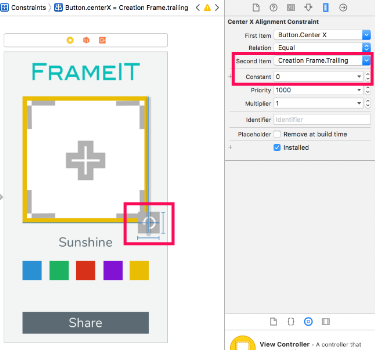 Creation Frame - fixed width and height, center horizontally, position vertically following Title Image. 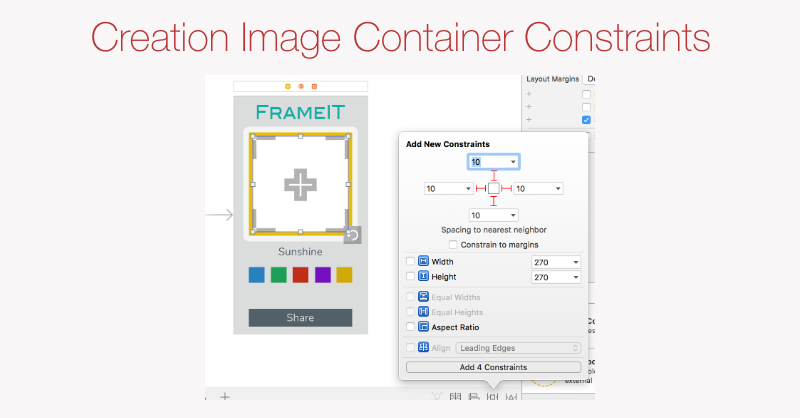 Creation Image Container - snap to edges of Creation Frame with a frame width offset. 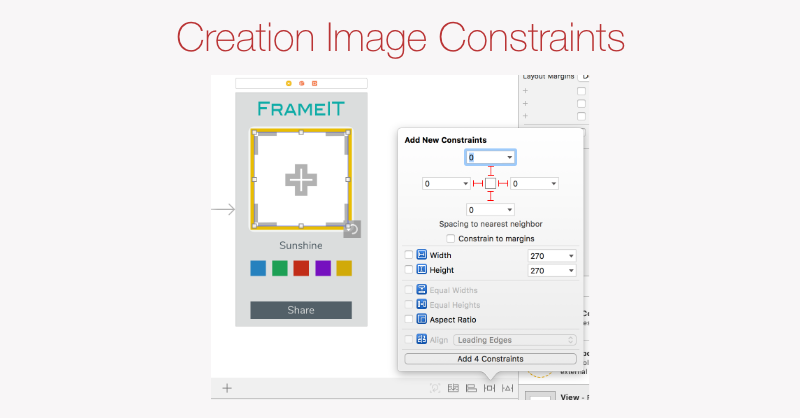 Creation Image - snap to edges of Creation Image Container (no gap). Startover Button - fixed width and height, center to the bottom right corner of Creation Frame. Color Label - align left and right edges to the left and right edges to Creation Frame, fixed height, position vertically following Creation Frame. Color Swatch Container - fixed width and height, center horizontally, position vertically following Color Label. 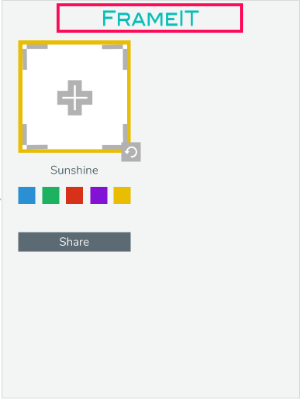 Share Button - match width to the width of Creation Frame, fixed height, center horizontally, position at designed distance from the bottom of safe area. Whether you've already completed the Unicorn activity at the end of previous chapter, you may choose to apply autolayout to the activity functionality, however it's not required. Select Title image and click 'Add new constraints' icon. We have options here to contain distance to the closets 'neighbor' on the top, bottom, left and right. Neighbor is a sibling view, a view in the same set of subviews. Two constraints - width and height - added under the title image. One constraint - distance from the top - added under the main view. Click on the red circle with an arrow and you'll see that some constraints are missing. One more constraint added to the main view indicating entering to the view. And we've got nice blue lines surrounding our Title Image indicating every constraint that we've just set! That's an improvement! Let's move onto the next one! Your turn now! Try to constrain the remaining views on your own! Matching width hint: Select 2 views that need to be matched and set 'Equal widths' constraint on 'Add new constraint' popup. What is you need to change the design after you've created all the necessary constraints? 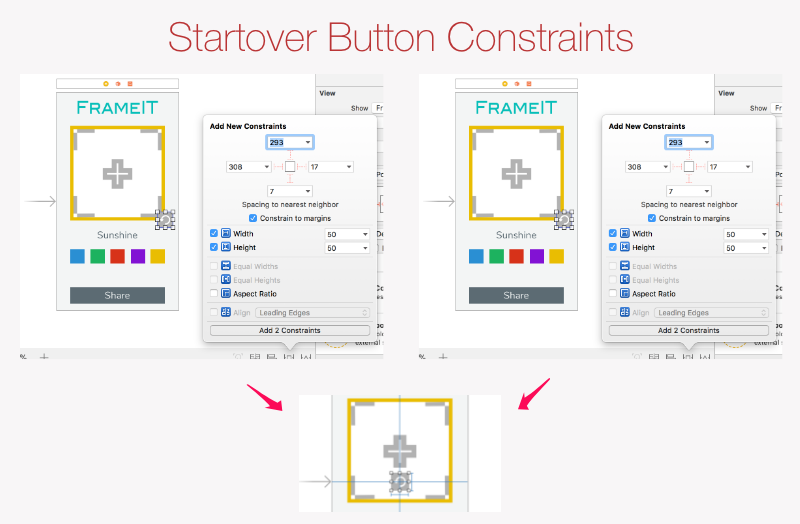 You already know how to modify constraints - by selecting one and adjusting it's setting in the Inspector. Right away you can see an indicator - orange lines and labels - demonstrating that parameters have changed. In particular, the button has been moved 25pt up. How about the main app screen view? *available screen considering the device state, like hotspot is being used or there's an active call on device - in those cases, the app will be shifted down - which also something to consider, by the way, the elements that are constrained to the top but go all the way down could become hidden. Make sure to test your layout for special circumstances - like active call on the phone etc. Implementing Auto Layout on this screen will definitely help! 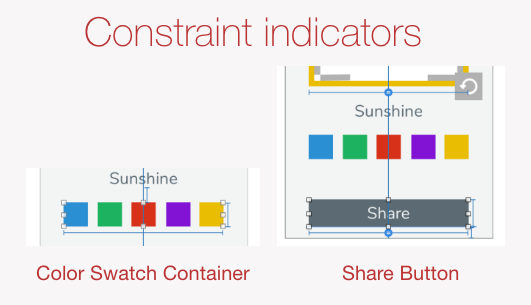 Identify the constraints that will suit the screen the best. 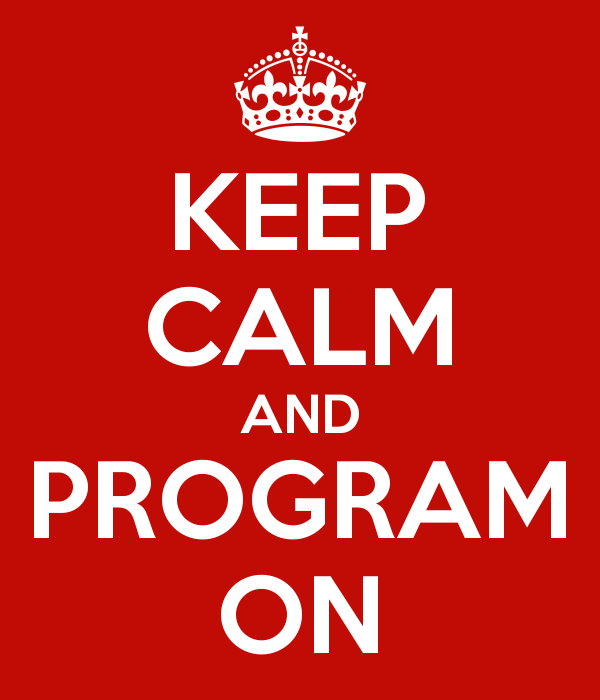 Title Image: fix width and height, center horizontally to the Logo Image, follow the Logo Image at a distance. Great work! Let's wee what else we can do! Constraints must be sufficient to calculate 4 values: x, y, width, height for each view. Constraints must generate a non conflicting values of size and position.